We’ve all seen those super pregnant women getting on an airplane. Even I hope (and I’m trained to know what to do!) that no problems will arise. What are the issues with air travel during pregnancy? A study was done in 2004 that compared the varying pregnancy policies among different airlines. The researchers requested pregnancy policies and air travel from different international airlines. Three of these airlines had no restrictions at all for pregnant passengers. Of the other 14 airlines that responded to the survey, the restrictions and guidelines were all very different – affecting women with gestational ages anywhere from 28 weeks to 36 weeks, some requiring a doctor’s note, some requiring documentation of delivery date. No consensus at all. As you can tell from the 3 samples above, this problem continues. Not that you would fly just because an airline allows it – but the airlines are giving such mixed messages! The most common obstetric emergencies occur during the first and third trimesters. Up to 14 weeks is first trimester. Third trimester is 28 weeks to delivery. I do not want you to have an obstetric emergency while on an airplane (pretty obvious). That leaves the second trimester as the best time to travel: 14 weeks to 28 weeks. 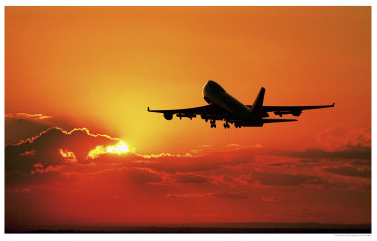 Some women can be affected by the changes in cabin pressure and the low humidity on airplanes. A pregnant woman’s body might adapt by increasing the heart rate and blood pressure. If you already have a high heart rate or high blood pressure, you would want to avoid flying because it could worsen these problems (with potential subsequent problems for the pregnancy). If you have an ongoing medical or obstetrical problem, it’s probably best to avoid flying too. You do not want to be trapped in an airport / on a plane / on a tarmac when you should be in a hospital for evaluation. Is flying safe? What about the radiation? Studies show that the noise, vibration, and cosmic radiation is negligible for the “occasional pregnant air traveler”. To be exposed to the level of radiation that may affect a developing fetus, you would have to travel on more than 6 of the longest possible intercontinental flights during your pregnancy. Don’t fly more than that. Plan your “around the world in 9 months” trip for a different time in your life. Should I do anything different during a flight? Air turbulence is unpredictable and can cause trauma if you fall / slip / lose your balance during the flight. Wear your seatbelt (below your big belly – on your lap) and only walk around when the air is calm. Pregnant women are at higher risk to develop blood clots in their legs, compared to non pregnant women. Move your legs around in your chair (think sit-down yoga for seniors), wear comfortable and non restrictive clothing, maybe even compression stockings (you can hide them under your clothes so no one has to know!) to decrease your risk. Gas expands at altitudes. Lay off the gas -producing food before and during flights (you know what they are!). Consider taking a nausea / vomiting medication before the flight if you are especially sensitive. Aerobic capacity can also be severely compromised, so suppress that urge to run a marathon while in flight. Have a good trip! I hear Paris is wonderful this time of year! 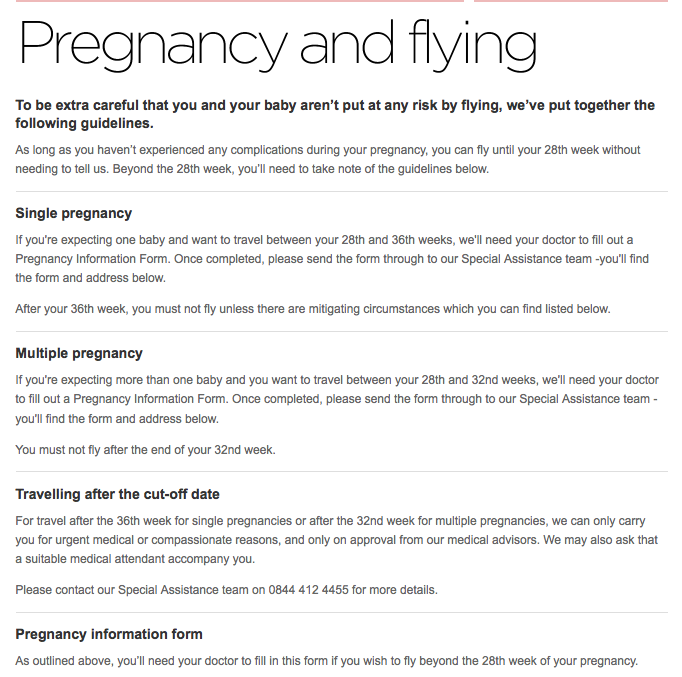 Air travel in pregnancy: the ‘air-born’ study. Breathnach F. Geoghegan T. Daly S. Turner MJ. Irish Medical Journal. 97(6):167-8, 2004 Jun.